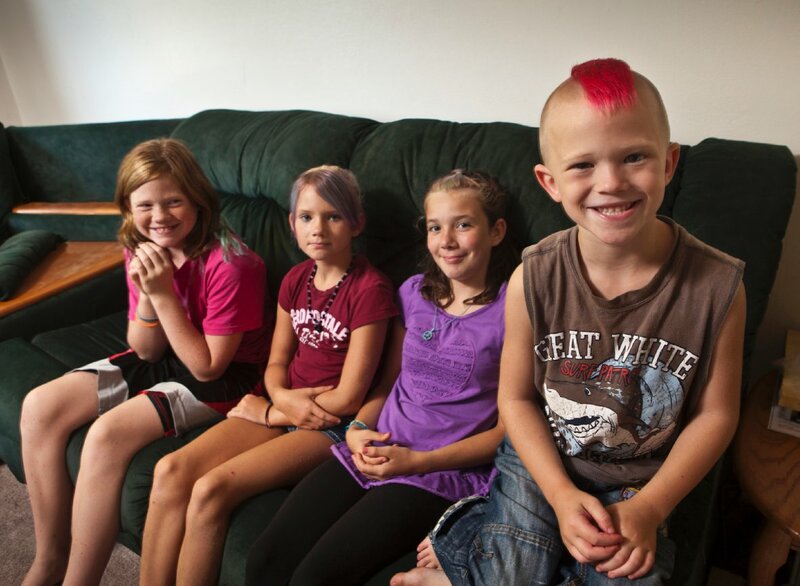 Posts with tag: "Grafton Elementary School, dress code, hair color"
Meet the Bad Hair Gang of Elsah, Ill. who are suspended for their first week of school for violating the Grafton Elementary School dress code by coloring their hair. They are spending their suspension exercising their constitutional right to freedom of expression, contacting the ACLU, posing for portraits for national publications and TV, and eating ice cream. Their diminutive ringleader David aka “Littleman” is but 6 and was suspended in his first hour of first grade. Their ranks include an honor student and also a cancer awareness activist. I did my part by educating them about color temperature and ETTL metering.